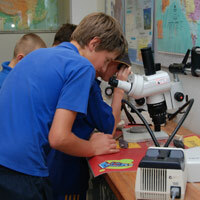 Geoscience Australia's Education Centre mainly caters to pre-booked school groups. 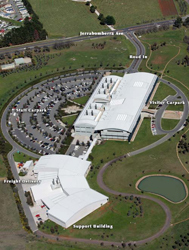 However it is open to the public outside of these booked times and during sessions offered in Earth Science Week and Geoscience Australia's Open Day. Students can discover the earth sciences through curriculum-linked, hands-on activities that keep students captivated, focused and looking for more. 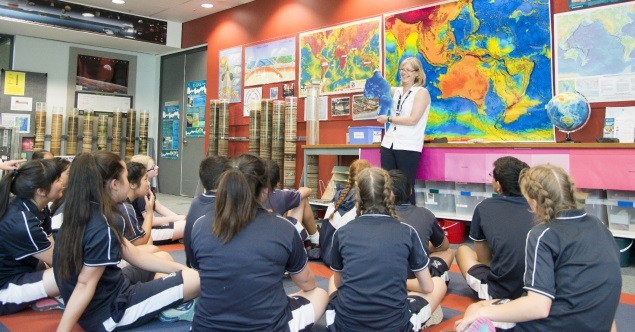 Our Education Centre offers a free, earth science focused excursion. Programs delivered by a team of professional geoscience educators are tailored to the age group and curriculum stage of students. Students discuss relevant topics and undertake self-directed hands-on activities. Each program is guided by activity sheets that are designed to help students in their on-site exploration, and enhance their understanding of how the earth sciences are an interesting and relevant part of their lives. 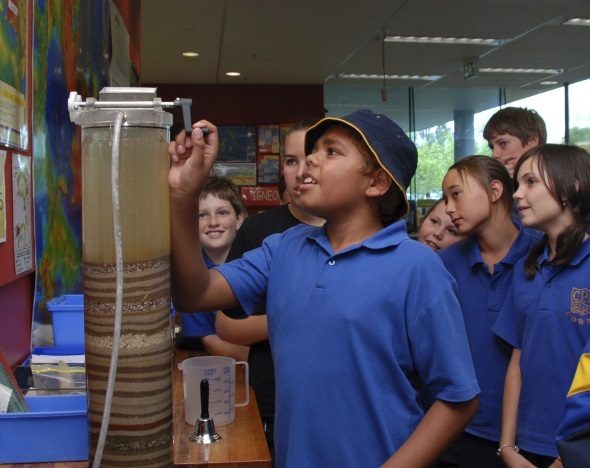 While at Geoscience Australia, students will make their mark by adding a layer to our 'visitor book' sediment columns and record an earthquake using our in-house seismograph. 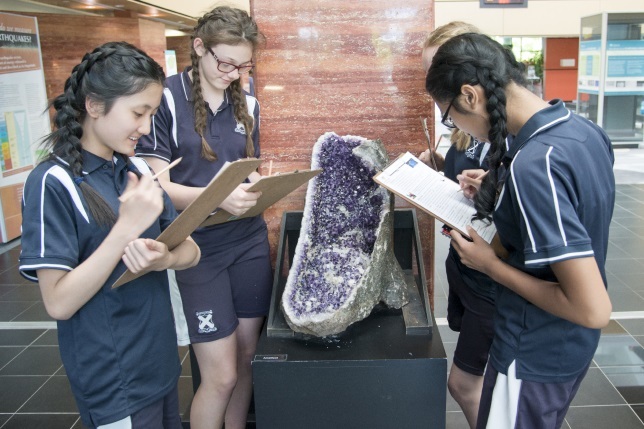 Our education programs also utilises the National Mineral Collection, which contains world class minerals, rocks, and fossil specimens and fine examples of satellite imagery, mapping and historic geological instrumentation. The Education Centre is open Monday to Friday from 9 am to 5 pm. Closed weekends. Admission is free, although group bookings are essential. General school visits run for approximately 1.5 hours with a maximum group size of 60 students. To request a booking, use the booking form. Please note that booking requests are not finalised until you receive a confirmation email from Geoscience Australia. Geoscience Australia is committed to providing a safe and accessible venue for visitors. During a visit students remain the responsibility of teachers and must be supervised at all times. Coach parking is available at the front of the site. Parking for people with disabilities is available near the main entrance to the building. Disabled toilet facilities are provided. The Education Centre and the National Mineral Collection are both located on the ground floor with easy access for mobility impaired visitors. Blackstone café is located on the ground floor of the building and is open to the public from 8am to 4.30pm, Monday to Friday. Morning tea, lunch and afternoon tea can be provided for school groups with prior notice. Contact Blackstone Café on (02) 6249 9149 or email Blackstonecafe@icloud.com. 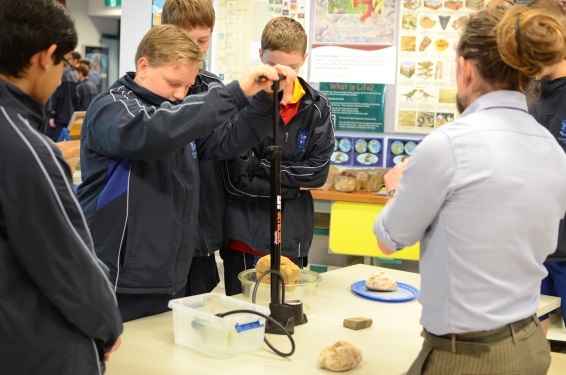 Geoscience Australia's Education Centre offers programs directly linked to the Australian curriculum for each year level. ACSU075: Earth's surface changes over time as a result of natural processes and human activity. The Weathering and Erosion program focuses on changes that occur in rocks and the landscape as a result of geological and climatic influences, and how fossils can give us clues to what the pre-historic landscape was like. ACSSU096: Sudden geological changes or extreme weather conditions can affect Earth's surface. ACSHE098: Science involves testing predictions by gathering data and using evidence to develop explanations of events and phenomena. The Hazards program focuses on earthquakes and tsunamis. 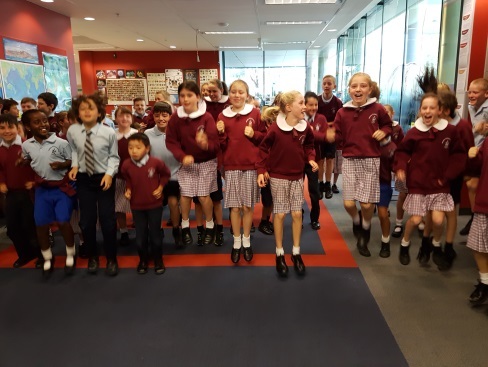 Students examine real earthquakes recorded by the Geoscience Australia seismometer, and learn how and where earthquakes and tsunamis are likely to happen, what the impact can be and Geoscience Australia's role in reducing the human toll of such events. ACSSU153: Sedimentary, igneous and metamorphic rocks contain minerals and are formed by processes that occur within Earth over a variety of timescales. The Rocks and Minerals program focuses on the rock cycle, identifying rocks through their characteristics, and looking at the different properties, such as lustre, hardness and streak, that help geologists identify minerals. The hands-on component includes identifying mystery rocks. ACSSU180: The theory of plate tectonics explains global patterns of geological activity and continental movement. The Plate Tectonics program concentrates on the mechanisms of plate tectonics and uses 3D technology to examine the evidence that supports the theory including earthquake depth and frequency, and volcanic activity around the world. Earth and Environmental Science students can be provided with experiences tailored to the needs of their class. 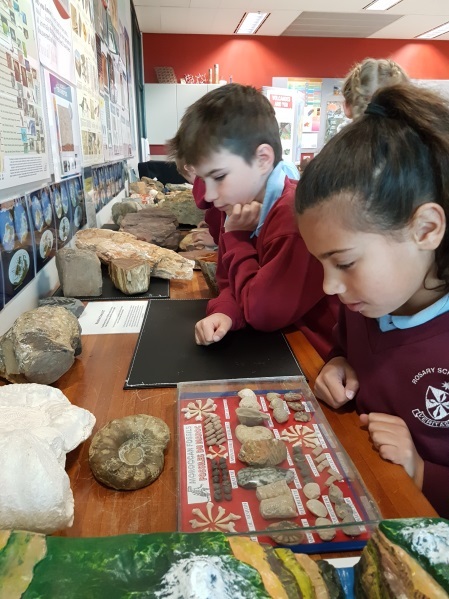 This may include visiting behind the scenes areas of Geoscience Australia and specialist presentations by practising geologists and geoscience professionals to look deeper into relevant earth science topics. As well as general school programs, we can tailor programs to suits your curriculum needs. We are more than happy to cater your visit to the topic or style that suits you.